The FH4 welding headtop is a new product by Sabre Safety and is the latest addition to their comprehensive range of powered air headtops. 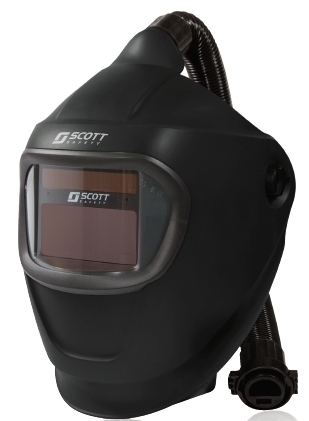 Designed for use in welding applications, the FH4 is specifically suitable for those seeking both respiratory and face protection. The FH4 is compatible with the Proflow 160 version and Tornado powered air units. The FH4 is also available for purchase with a choice of welding filters (ADFs) and a wide range of accessories. The FH4 is priced competitively and is available in various configurations including ADF filter and blower ready packs. The Sabre Safety FH4 is perfect for those looking for a ready-to-go respiratory welding solution.